Light waves pass through slits in a barrier 2a wavelengths apart (left). Wave interaction can be seen (middle). 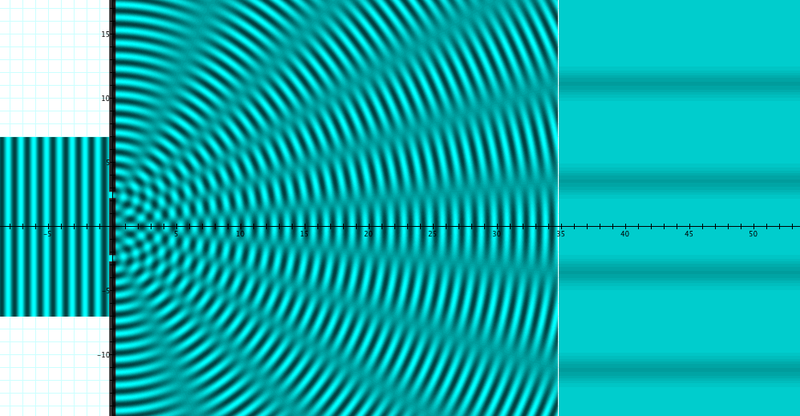 Interference pattern recorded at distance d is shown (right). Option-click animation button for best results.